India is a land of fair and festivals. Different festivals are celebrated here with full enjoyment. There is different meaning of different festivals. All have their own special importance. The next coming festival for which all brothers and sisters are excited is rakhi. 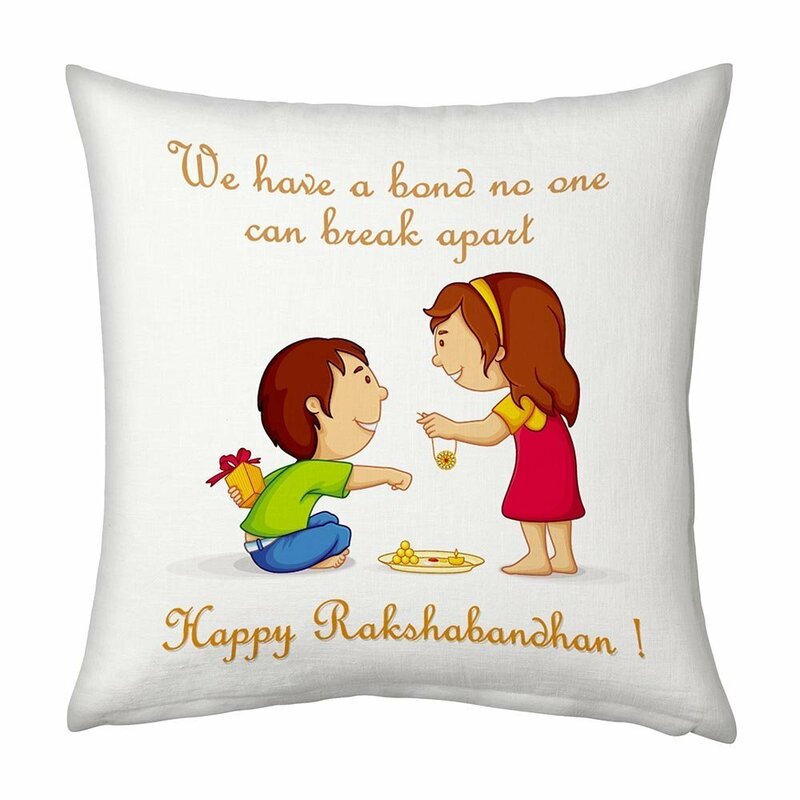 Here comedymood giving you the idea about Raksha Bandhan Gifts to brother and sister. This day is a symbol of love and bond of unity between brothers and sisters. On one hand sister ties a rakhi while on the other hand brother promises her to be with her in her every bad situation and protect her. This day is of great excitement as every brother and sister is looking for his/her gift. So, here I bring to you fresh rakhi gifts. I have found top 10 gifts for raksha bandhan. All you need is to grab them up. Dear brothers and their sweet sisters, have a look and select the best gifts for rakhi you can gift to your sibling. We all know that it is a single day in where you get to express your emotions as for the rest of the year you guys would be pulling each others leg! Let’s celebrate this Rakhi, with a wonderful gift which has a special meaning! 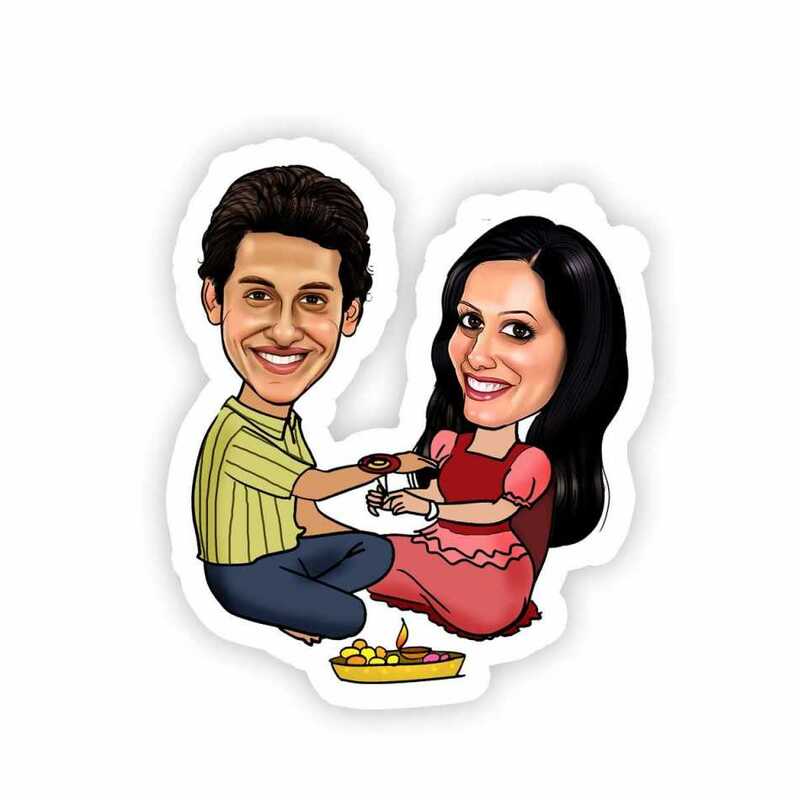 It’s a caricature magnet or in hindi what you call as ‘chumbak’. 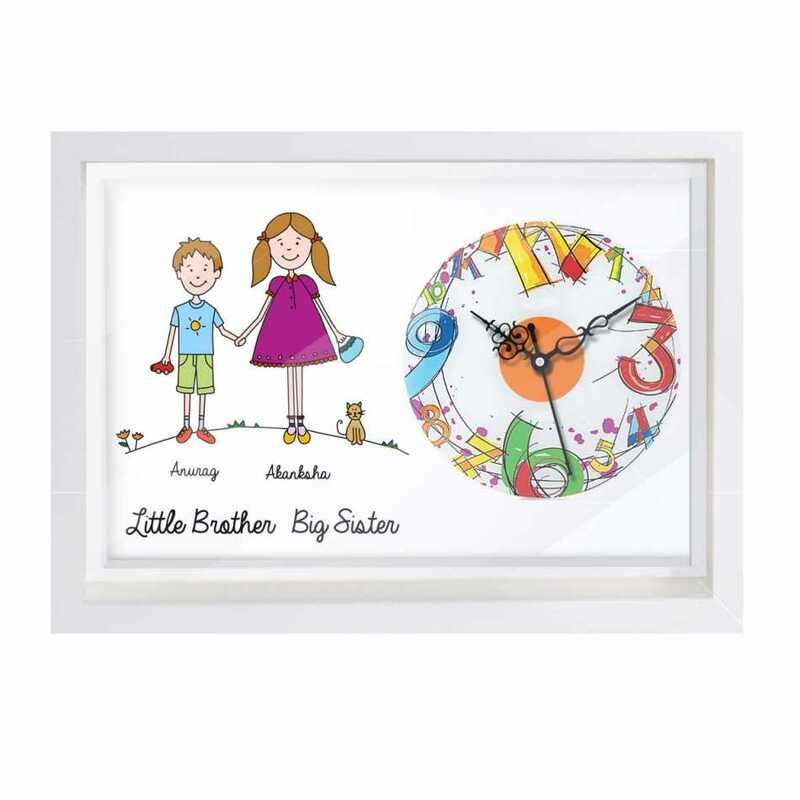 If you have a younger brother/sister you can gift to your siblings as Rakhi Gifts. These are of multiple uses. It can be stuck on the fridge. Other than this you can stuck it on anything made of metal. Another thing I want to state is that,this item is special. This is because it gives a message that brother/sisters fight a lot but that’s what they are meant for. These small fights makes the relation stronger. This is because we all know we fight more with that person whom we love a lot. Their relationship is like magnet, whose love attract each other. The caricature magnet is hand drawn by professional artists. If you want to make it special,you can do so by adding your and your brother or sister’s face to it. 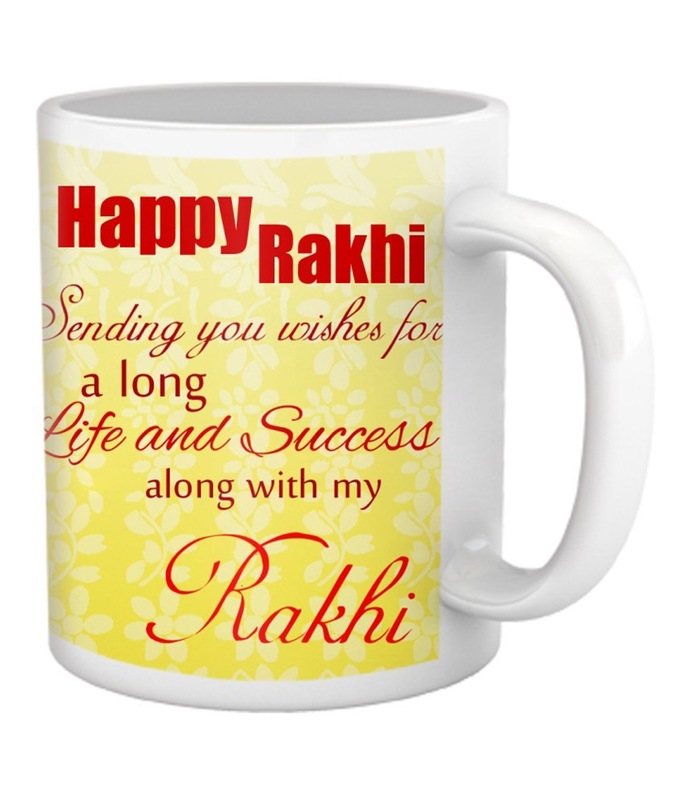 Another super cute gift which you all can gift to your brothers/sisters is a rakhi mug. This is something which can be used on daily basis. So, this will be totally loved by people whom you gift. Every morning, when they will use this mug, you will get to see a smile on your brothers/sisters face. This is obvious as we all know that having tea or coffee is the first thing which people do. You can also ask the relevant person to get a sweet message for sister/brother on it. If you gift something like this, you can make your brothers/sisters feel special on Raksha Bandhan festival. Personalized Canvas is something which has messages. These messages can be which you would want to give to your brothers/sisters on Raksha Bandhan. By gifting them this small personalized canvas, you can show them all your love. This would also make your brothers/sisters special. This will carry all your own emotions which you have for them. So, now this is called personalized canvas. Again to mention this is called so as it carries all your personal messages. These will be artfully written on wooden board. Your sibling is surely going t love this. 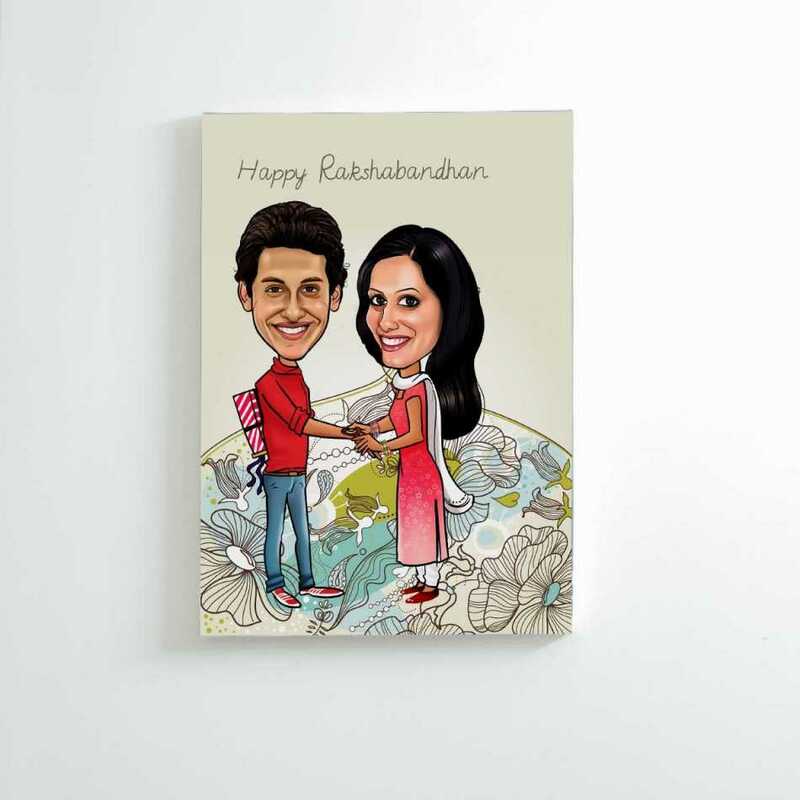 Personalized caricature canvas is the next gift in my list which you can gift to your brothers/sisters this Rakhi. This gift of yours has a variety of styles. But, this doesn’t mean that it is not unique. It is actually unique at the same time. It becomes unique because of the fact that you can add your own photographs to it. Also , this becomes so sweet that it act as a symbol of bond between brother and sister. In this sister is tying a rakhi. On the other hand, her brother is hiding gift which he bought for her. Brothers bring this so that they can surprise their sisters and get a smile on their face. 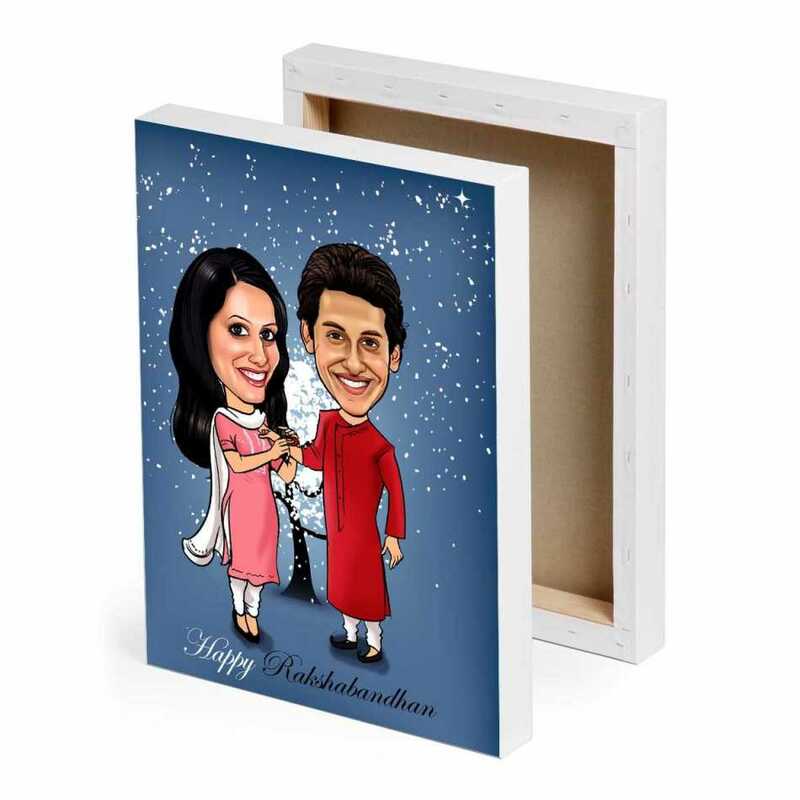 Here to mention, caricature canvas is one of such gifts which you can gift to your brother/sisters on Raksha Bandhan in order to make them happy. These t-shirt won’t be just normal tees. They carry all the messages which you want to let your brothers/sisters know. Now that’s something too cute which you can give to your brothers/sisters on the much awaited day of Raksha Bandhan. The best thing you can do here is to add your own lovely messages. These would be printed on the plain white t-shirt. 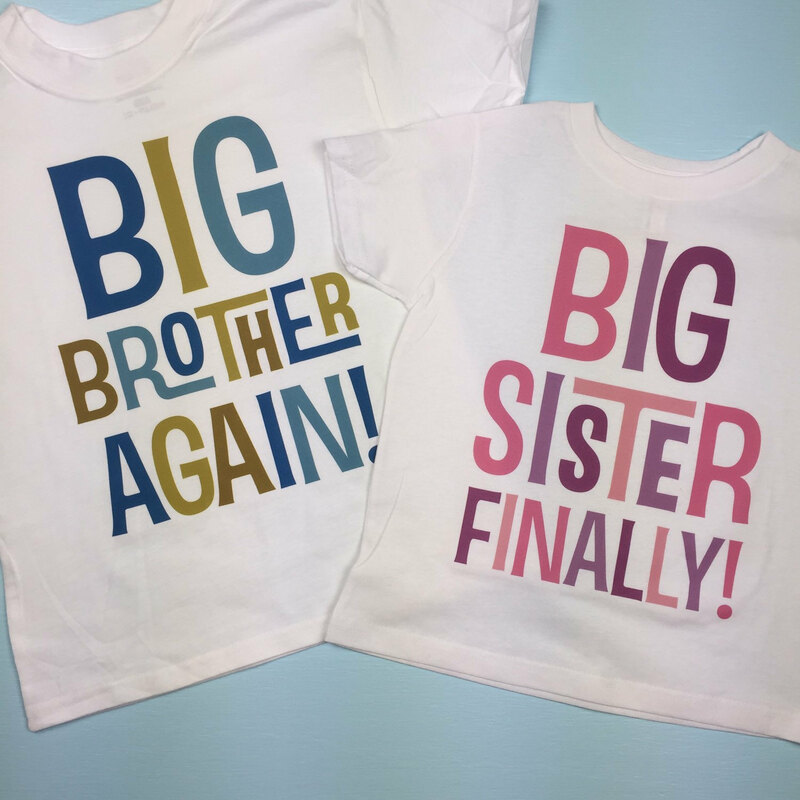 These are best for another reason that t-shirt can be used on a regular basis by your siblings. It’s best pair up can be with a blue denim jeans. This is so as white tee and denim always suits anyone. You can make a new style statement by wearing personalized t-shirt. What are you waiting for? This Raksha Bandhan , do give your sibling something which they can use in their life and make the most of it. Its a personalized clock. It would be special for your brothers/sisters. This can be kept on a study table or you can easily place it anywhere in your home. Again this is too special for the same reason that it will have your message for brothers/sisters. Every time your sibling will see it, you will be remembered. Unlike, other usual clocks this one is definitely unique and special too. So, now don’t wait for anything, just buy one of it and surprise your brothers/sisters by gifting this item on Raksha Bandhan. If you are planning to gift your sweet brothers/sisters personalized cushion, than it is a great idea. This is too special because it has a sweet message on it. To add more photos of your brothers/sisters can be added on it. This would make the cushion look more attractive and different. It won’t be wasted as people like sleeping with soft cushion. So, it you want to give your brothers/sisters something different and worth this is the best option for you. 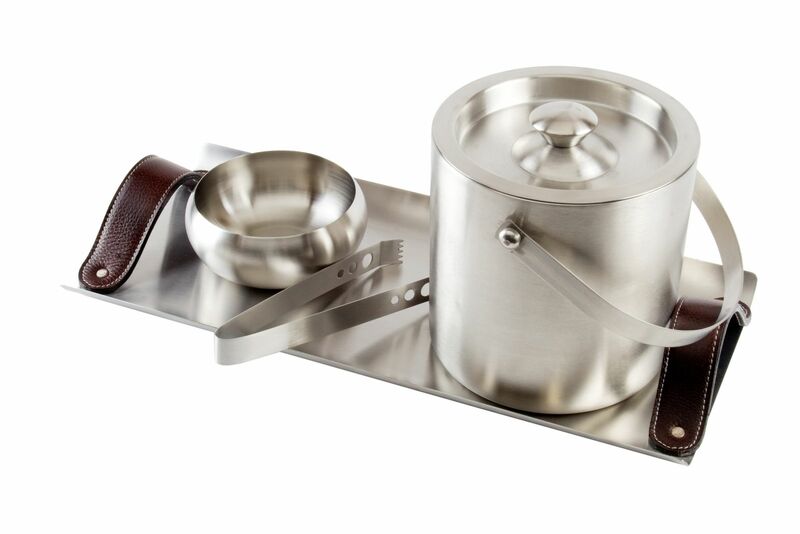 Bar accessories are another option you can gift to your siblings. This is among the most different gifts that can be gifted to your brothers/sisters on Raksha Bandhan. Now by bar accessories I don’t mean that you should give something irrelevant or unethical. This is just containing funny messages. They may be funny but are equally important and have sweet message on it. These can be used on different occasions, while partying or can be used as a show piece. If your sibling is young this is the best you can offer. 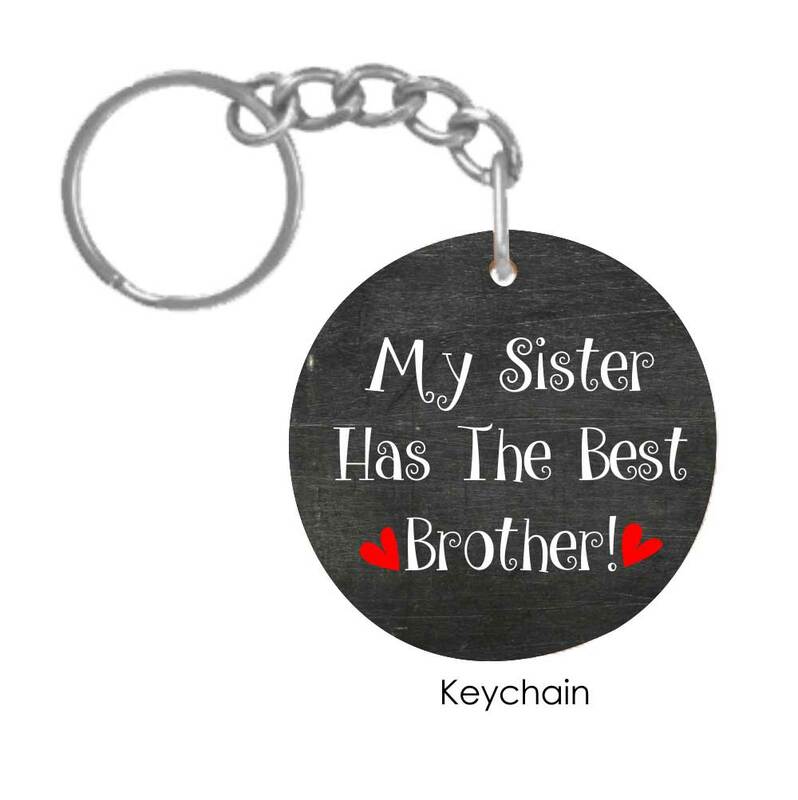 Keychain for Brother and Sister as rakhi present”/> Another way by which you can surprise your brother/sister this rakhi is by gifting them a personalized wooden keychain. All you need to do is to mention his name and tell him that he is the world’s best brother! Same goes if you want to gift it to your sister. So, go and have a look at these wooden key chains and get your own message written. This will be too sweet on your part. 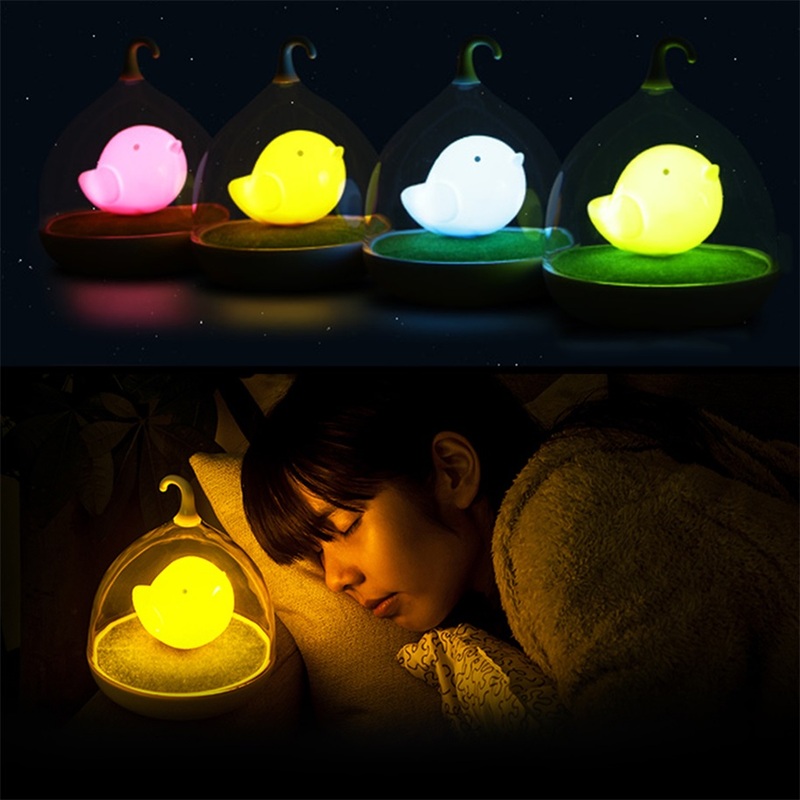 Another one to mention is a brand new product – LED night lamp. This lamp will be with customized texts. You may get an emotional or funny message engraved on the lamp. And in this way you can gift a wonderful and useful gift to your brother this rakshabandhan. This can be utilized easily and look loveable to your sibling. Gifts should be such that your siblings can utilise it to the fullest and so, becomes necessary to choose gift in the best way. These are to be chosen in a that your siblings love it and even utilize it for genuine purpose. Gifts are way of expressing love but worth gifts add more to it. One can advice you what you should give to your siblings. But it’s you who know your sibling in the best way. So, it upon you to decide the best one and gift it. In the end a very happy raksha bandhan to all brothers and sisters. Enjoy this festival and yup don’t miss your little knock-jhock.